Blackcurrant orchard with small house near Tusnad, Harghita - 49'000 Euro neg. 4 acres of beautiful hillside close to the spa resort town of Baile Tusnad is for sale. 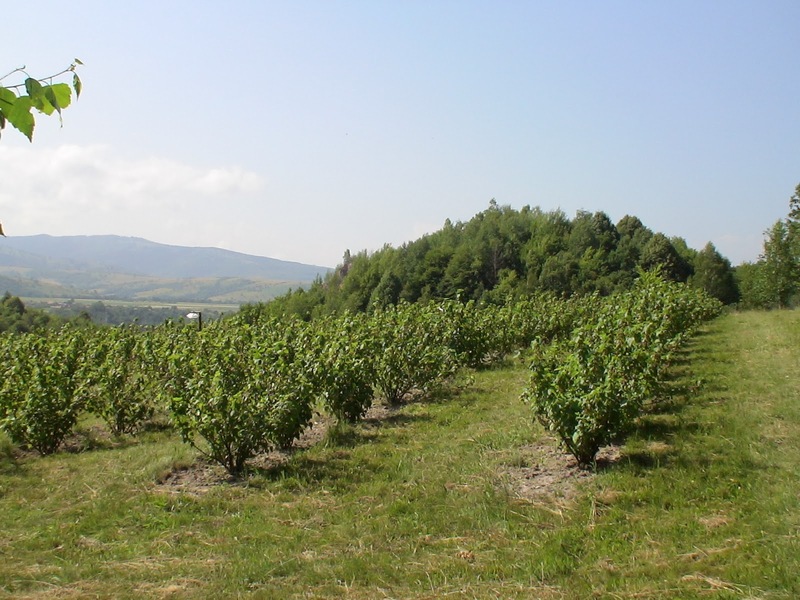 Around 2 acres of the land is a mature blackcurrant orchard yielding two to three tons of blackcurrants per year meaning that the land can generate income from the first year and pay for itself with a number of years. The rest of the land is used for fodder, and could either remain so, the fodder being sold, or be cultivate for other crops. On the property there is a small farm building for the management of the orchard. It runs using solar power and generators and harnesses water from a spring. The area is famed for its crystal clear mineral water and warm thermal spas. In fact, a short distance from the land there is a thermal lake that can be used free of change. The nearby resort of Baile Tusnad has managed thermal spas as well as other amenities such as small shops, bars, restaurants and guest houses. 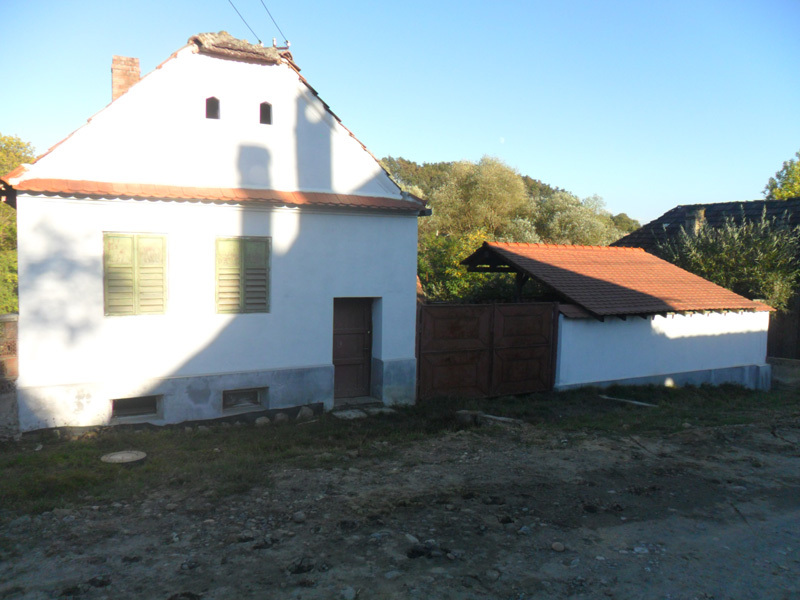 House for sale in Saschiz, close to centre, away from the main road. 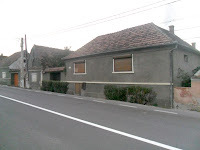 A small Saxon-style house which has been partially renovated, including some improvements to the wiring system and some rendering and plastering. It is only a 5 minutes walk to the centre of the village where there is a post office (where bills can be paid), a couple of small general stores, a bar, and a guesthouse which also has a restaurant and a bar and a lovely courtyard beer garden with views of the castle. This sturdy Saxon-built house on the main road towards Sighisoara would ideally suit a family or someone looking to start up a smallholding. Many of the houses built by the Saxons were purpose-built for self-sufficiency and therefore have many of the necessary utilities and features, such a vineyards, fruit trees, animal pens, grain storage areas (note the system of pulleys in the back yard for raising grain sack for storage in the loft) and so on. Although this property will naturally suffer a little from passing traffic, it extends back quite a way giving the garden spectacular views of the valley behind. The house itself comprises three rooms upstairs and a hall, two of the room being around 25m2 each. Downstairs there are another two rooms and a large cellar. Another separate building contains another rooms, a bathroom, and a pantry. 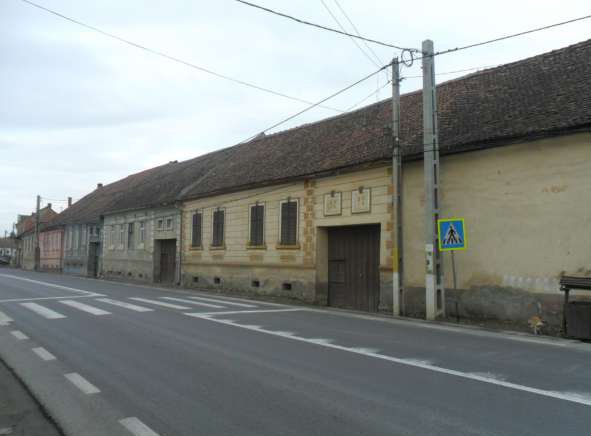 A deceptively large property located in the shadow of the medieval church and clock tower in the centre of Saschiz, this house is going for the attractive price of 15’000 Euro. 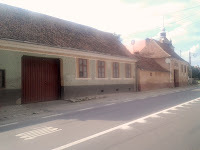 Despite the front of the house facing the sometimes-noisy main road through the village, the rear commands views of the surrounding hills and, most noticeably, faces the medieval peasant fortress that makes Saschiz such a popular tourist attraction. It is also only a few minutes’ walk from the centre of town where you can find the post office, a couple of bars, a general store and Hanul Cetatii, a locally-owned and run guesthouse and restaurant. Walking the other way, you have another guesthouse Welsh-owned called Cartref and a British-run food production facility making jams, syrups, and other preserves. The 15th century clock tower and fortified church are a mere 120 metres away. An old-style Saxon house right in the centre of Saschiz practically opposite the Saxon church and medieval clock tower, this house could have a lot of potential as a holiday rental or small guest house The properties is enter by a main gate right off the main asphalted road, ensuring year-round access (although currently it's possible to have some noise problems because of the road, a motorway is presently under construction which will pass well to the west of the region and reduce through traffic considerably, so long term, this should not be a problem). On ground level there is a small summer kitchen, whilst upstairs there are three decently-sized bedrooms, two of 20m2 and the third 16m2. Below there are two cellars for storing root vegetables and wine or which could also be converted into guest bedrooms/utility rooms.